Rakesh Jhunjhunwala should carry a statutory warning around him “Don’t Mess With Me“. Well, the Bears learnt the hard way that they should never mess with the Oracle of Mumbai if they want to make profits in the stock market. We last reported how the Bears had spread malicious rumors that Rakesh Jhunjhunwala had suffered huge losses in Silver / Nifty futures and that he was liquidating all his stock holdings. The rumors did have the intended effect because the market went into a tailspin and Rakesh Jhunjhunwala suffered staggering losses. When we last checked, Rakesh Jhunjhunwala‘s portfolio had lost a massive Rs. 700 crores. 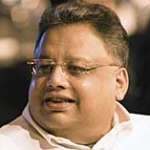 We knew when we saw Rakesh Jhunjhunwala‘s gentle smile that this phase was temporary and that he would make the Bears pay for their temerity. Rakesh Jhunjhunwala has done it. He has earned a massive Rs. 845 crores from his portfolio and after setting off the huge loss of Rs. 700 crores reported earlier, netted a profit of Rs. 145 crores. Not bad at all. Titan Industries was in the forefront of the stocks that made the strong comeback giving an overall return of Rs. 378 crores. CRISIL was second in the list with gains of Rs. 188 crores. Amount the disappointments was Bilcare with a staggering loss of Rs. 84.87 crores. Hindustan Oil and Karur Vyasa came second and third with losses of Rs. 72 crores and 45 crores respectively. The takeaway from this episode is that one should not unnecessarily panic and sell off stocks when the going is bad. If one has confidence in the stock then one should take advantage of the situation and buy more. This is what Rakesh Jhunjhunwala did during the great crisis of 2008 and earned a gain of Rs. 1,000 crores when the tide turned. 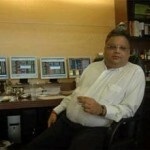 Rakesh Jhunjhunwala’s stock portfolio mauled by the Bears! 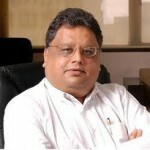 Rakesh Jhunjhunwala Portfolio: Loss Rs. 700 crores!